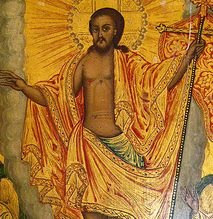 CopticChurch.net Blog: Pikhristos Aftonf - Christ Is Risen! Pikhristos Aftonf - Christ Is Risen! Christ is Risen, Truly He is Risen! The Tasbeha.org and CopticChurch.net team would like to wish you all a joyous Feast of Resurrection and a blessed fifty days. Listen to Resurrection Hymns from different sources.